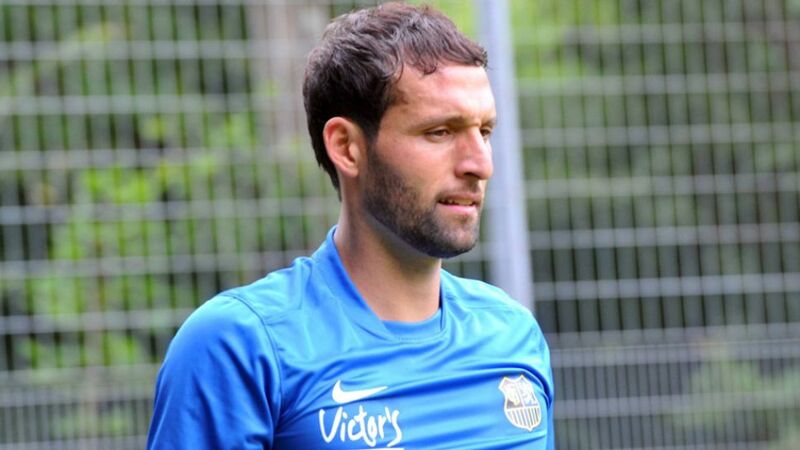 Sinsheim - TSG 1899 Hoffenheim have bolstered their attacking options for the forthcoming Bundesliga season with the signing of veteran striker Kevin Kuranyi from Russian Premier League side FC Dinamo Moskva. The 33-year-old forward, a former Germany international, has signed a one-year deal until the end of the 2015/16 season. "After five years in Russia I'm highly motivated to prove myself in the Bundesliga once more," said Kuranyi, who added that the challenge of doing so "fills me with enthusiasm". The Brazil-born forward scored 56 goals and provided 24 assists in 151 competitive games for Dynamo, having previously struck 71 goals for Schalke 04 between 2005-2010, and 40 for VfB Stuttgart from 2001-2005. "In the intensive discussions we had with Kevin it was clear that he not only wanted to show what he can do in the Bundesliga again, but that he was really eager to help our young team develop," said Hoffenheim sporting director Alexander Rosen, who is currently with the first team squad at their pre-season training camp in Norway. Kuranyi is one of a number of significant signings the club have made in the current transfer window, joining Jonathan Schmid, Fabian Schär and Mark Uth, among others, at TSG.